Metallo Gray 2018 Fiat 500 Pop FWD 6-Speed Aisin F21-250 HD Auto 1.4L I4 16V MultiAir Turbocharged Bill Luke Tempe is a family owned and operated business that has done business the right way since 1927. You can buy with confidence! 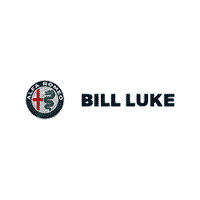 Bill Luke Tempe's price is based on Kelley Blue Book Price AdvisorTM - which allows you to see what other Arizona residents have paid for the same year, make and model of the vehicle while considering vehicle mileage. See dealer for details or visit www.billluketempe.com to see the difference for yourself! Gray 2018 Fiat 500 Pop FWD 1.4L I4 16V MultiAir Turbocharged Bill Luke Tempe is a family owned and operated business that has done business the right way since 1927. You can buy with confidence! Bill Luke Tempe's price is based on Kelley Blue Book Price AdvisorTM - which allows you to see what other Arizona residents have paid for the same year, make and model of the vehicle while considering vehicle mileage. See dealer for details or visit www.billluketempe.com to see the difference for yourself! Granito Gray 2018 Fiat 500 Pop FWD 6-Speed Aisin F21-250 HD Auto 1.4L I4 16V MultiAir Turbocharged Bill Luke Tempe is a family owned and operated business that has done business the right way since 1927. You can buy with confidence! Bill Luke Tempe's price is based on Kelley Blue Book Price AdvisorTM - which allows you to see what other Arizona residents have paid for the same year, make and model of the vehicle while considering vehicle mileage. See dealer for details or visit www.billluketempe.com to see the difference for yourself! Laser Blue 2018 Fiat 500c Pop FWD 1.4L I4 16V MultiAir Turbocharged Bill Luke Tempe is a family owned and operated business that has done business the right way since 1927. You can buy with confidence! Bill Luke Tempe's price is based on Kelley Blue Book Price AdvisorTM - which allows you to see what other Arizona residents have paid for the same year, make and model of the vehicle while considering vehicle mileage. See dealer for details or visit www.billluketempe.com to see the difference for yourself! Gray Metallic 2018 Fiat 500X Trekking FWD 9-Speed 948TE Automatic 2.4L I4 30/22 Highway/City MPG Bill Luke Tempe is a family owned and operated business that has done business the right way since 1927. You can buy with confidence! Bill Luke Tempe's price is based on Kelley Blue Book Price AdvisorTM - which allows you to see what other Arizona residents have paid for the same year, make and model of the vehicle while considering vehicle mileage. See dealer for details or visit www.billluketempe.com to see the difference for yourself! Brilliante White 2018 Fiat 124 Spider Classica RWD 6-Speed Aisin Automatic 1.4L I4 16V MultiAir Turbocharged 35/26 Highway/City MPG Bill Luke Tempe is a family owned and operated business that has done business the right way since 1927. You can buy with confidence! Bill Luke Tempe's price is based on Kelley Blue Book Price AdvisorTM - which allows you to see what other Arizona residents have paid for the same year, make and model of the vehicle while considering vehicle mileage. See dealer for details or visit www.billluketempe.com to see the difference for yourself! Bianco Gelato (White Clear Coat) 2018 Fiat 500X Lounge FWD 9-Speed 948TE Automatic 2.4L I4 30/22 Highway/City MPG Bill Luke Tempe is a family owned and operated business that has done business the right way since 1927. You can buy with confidence! Unlike our competitors, we DO NOT CHARGE for UNWANTED DEALER ADDS and our RECONDITIONING COSTS are INCLUDED in the sales price. Bill Luke Tempe's price is based on Kelley Blue Book Price AdvisorTM - which allows you to see what other Arizona residents have paid for the same year, make and model of vehicle while considering vehicle mileage. See dealer for details or visit www.billluketempe.com to see the difference for yourself! White 2019 Fiat 124 Spider Lusso RWD 6-Speed 1.4L I4 16V MultiAir Turbocharged Bill Luke Tempe is a family owned and operated business that has done business the right way since 1927. You can buy with confidence! Bill Luke Tempe's price is based on Kelley Blue Book Price AdvisorTM - which allows you to see what other Arizona residents have paid for the same year, make and model of the vehicle while considering vehicle mileage. See dealer for details or visit www.billluketempe.com to see the difference for yourself! 2019 Fiat 124 Spider Lusso RWD 6-Speed 1.4L I4 16V MultiAir Turbocharged Bill Luke Tempe is a family owned and operated business that has done business the right way since 1927. You can buy with confidence! Bill Luke Tempe's price is based on Kelley Blue Book Price AdvisorTM - which allows you to see what other Arizona residents have paid for the same year, make and model of the vehicle while considering vehicle mileage. See dealer for details or visit www.billluketempe.com to see the difference for yourself!